I would like to enter this card into FSC challenge of mode of transport. 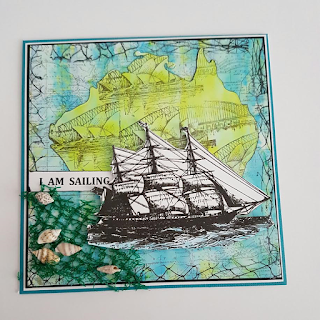 A really unique creation for our transport theme and great use of colour and background elements, many thanks for sharing with us at Fashionable Stamping Challenges. 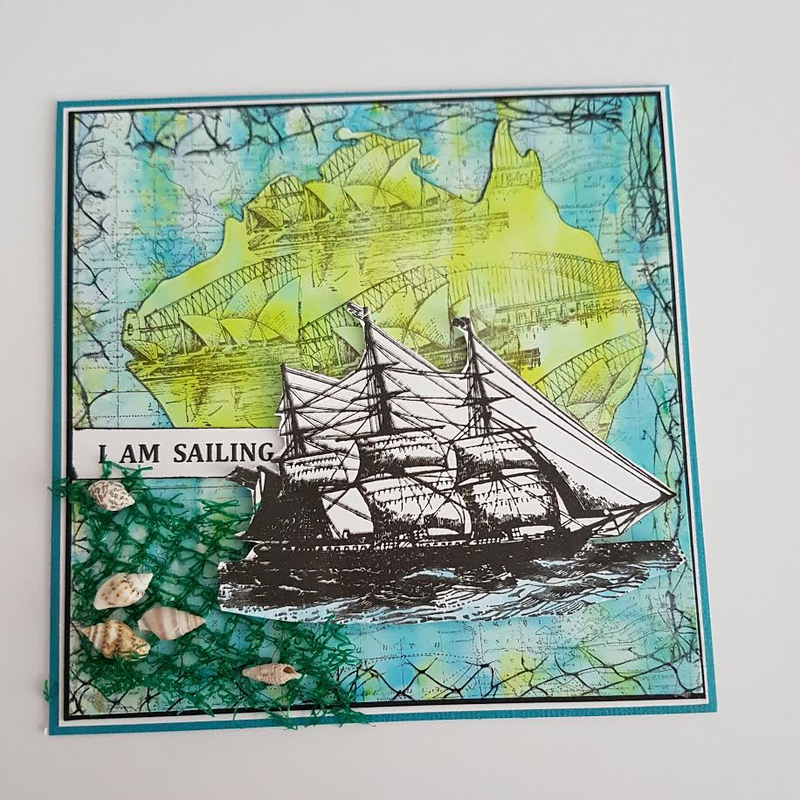 A great nautical card, lovely colours and background. Hi Judy, I looove this card. The ship reminds me of the Endeavour. A beautiful ship. The netting around the edges is a lovely way to frame your card too. Thank you for joining us at Fashionable Stamping Challenges this month.